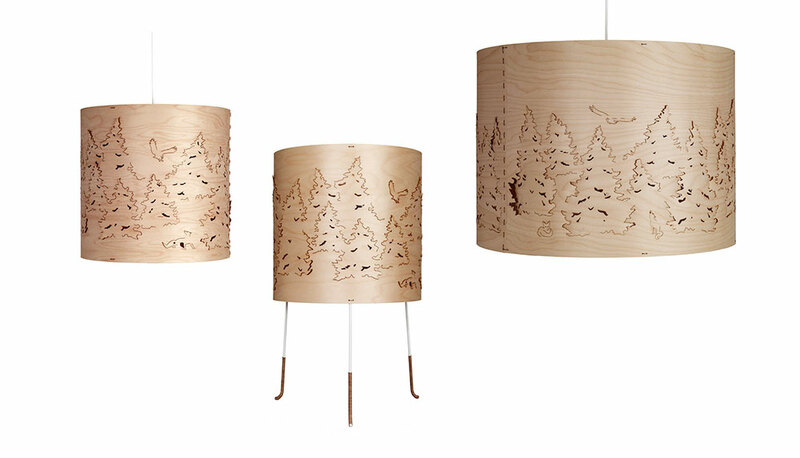 Norwegian Forest lights was designed by Cathrine Kullberg and launched for the international market in 2007. 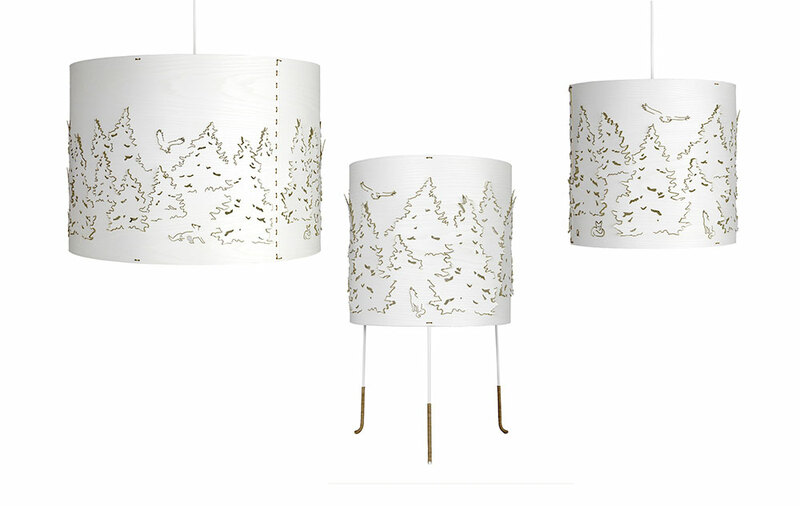 Originally, the collection was produced and manufactured by Cathrine Kullberg Studio from her studio workshop in Oslo, and when sales volume increased, the Norwegian lighting company Northern Lighting took good care of the manufacturing and distributing of the lamps as part of their reputable range of lighting products. 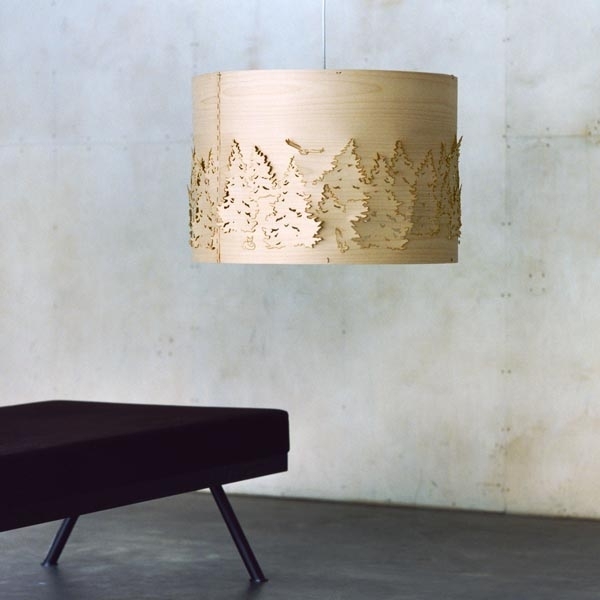 The Norwegian Forest enters the classic Scandinavian tradition of using thin wood veneer strips for lighting, birch and ash wood. 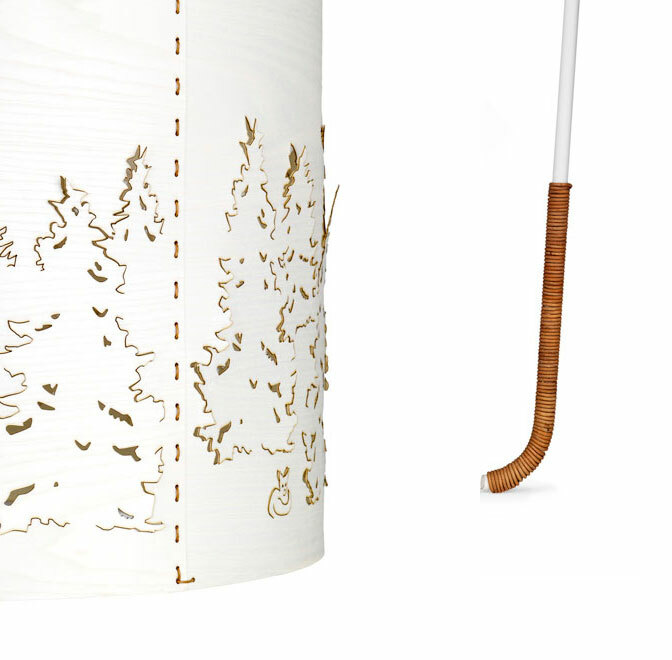 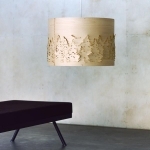 The double layered 0,9mm thick veneer was custom made for the collection, and the assembly of the delicate wooden lamp shade was done by hand sewing leather strip in a workshop in Småland, Sweden. 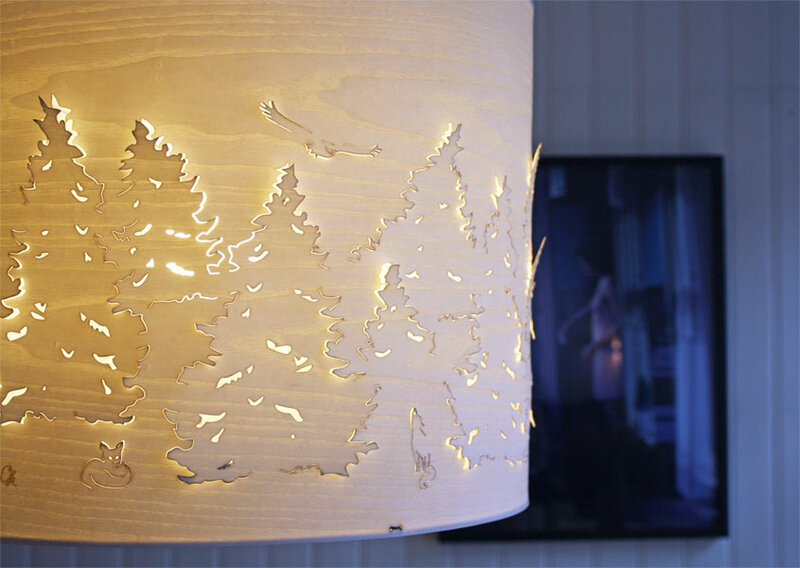 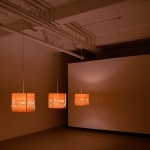 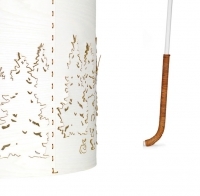 During the 10 years in production, the lamps were sold in design oriented shops in more than 20 countries, lighting many homes and public areas with the warm glow of light through wood and cut out forest contours.